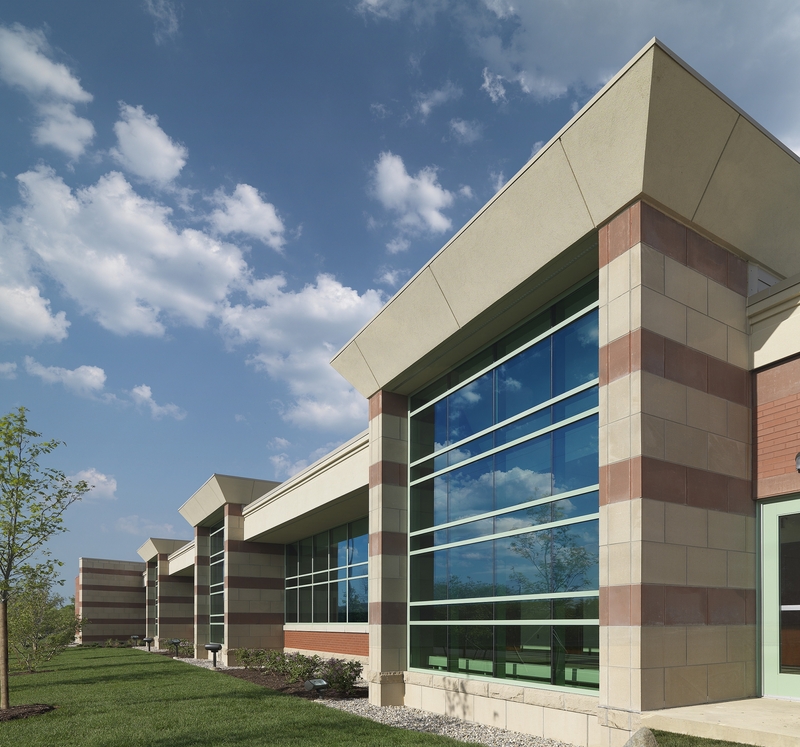 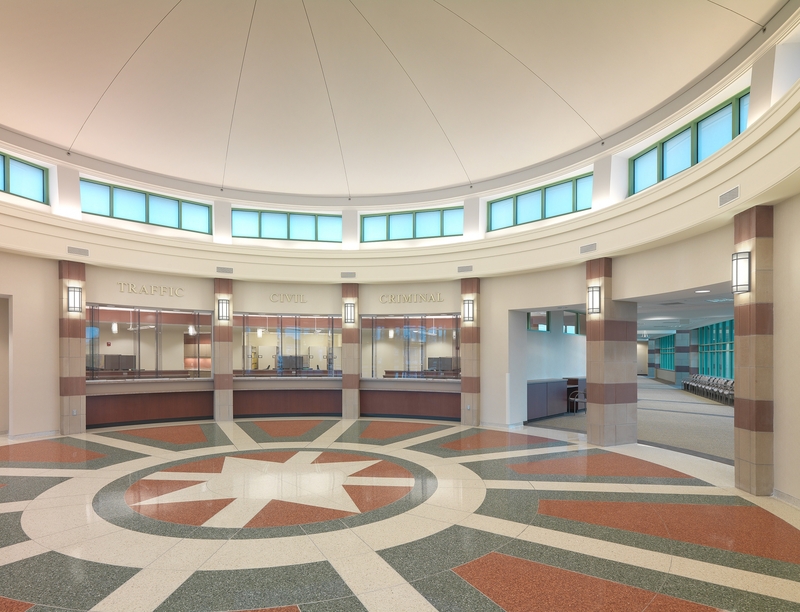 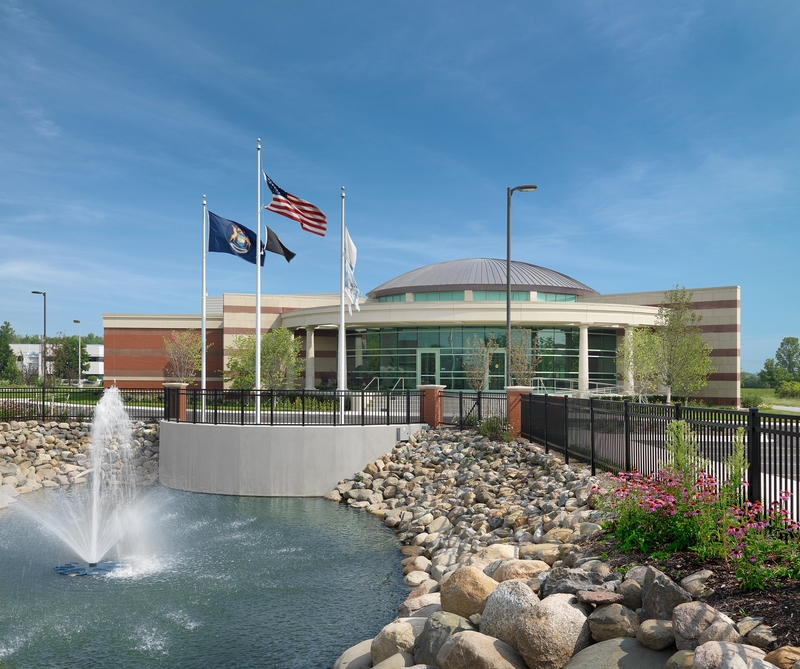 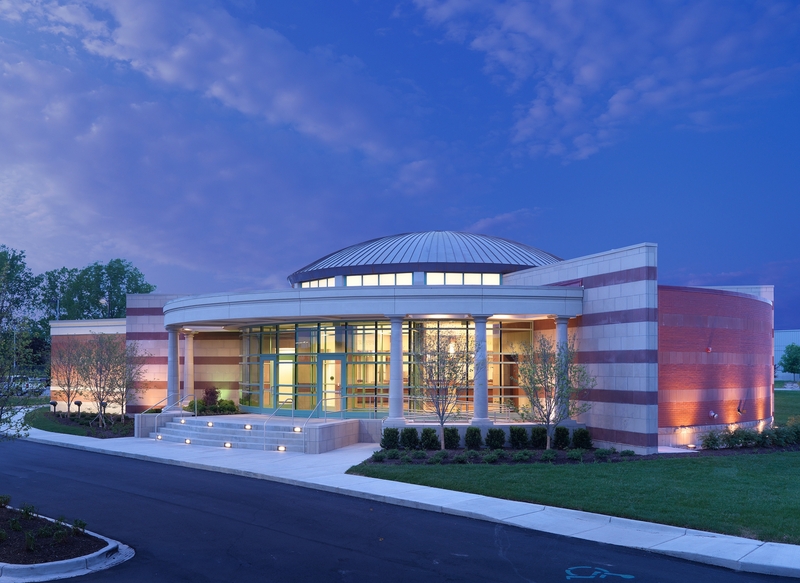 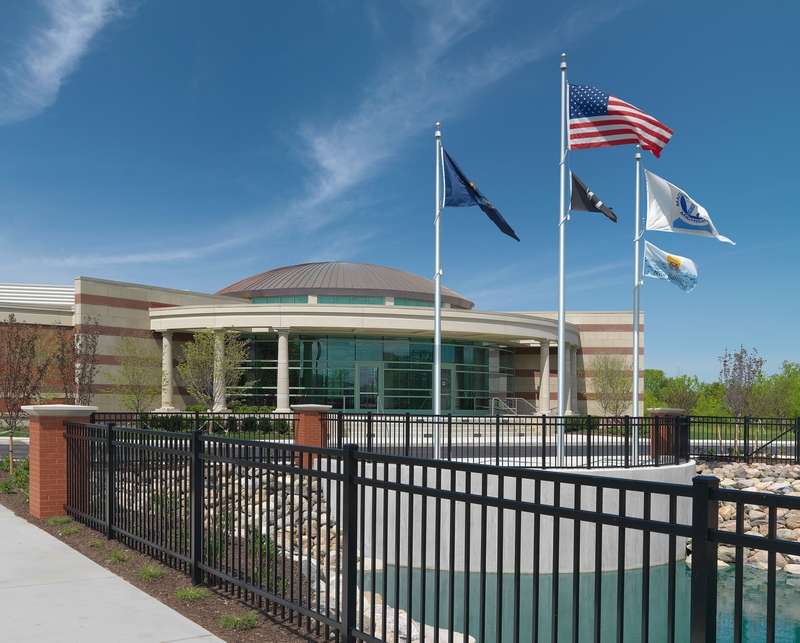 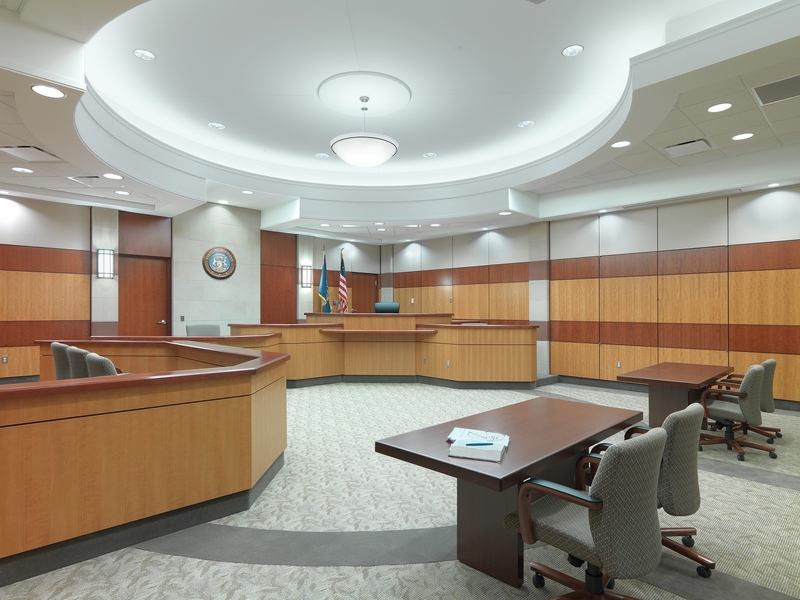 The new 40,000sf 42-2 District Court facility contains two courtrooms as well as a magistrate court, probation department, holding areas, secure underground parking, sally port, support spaces and secure archival storage. 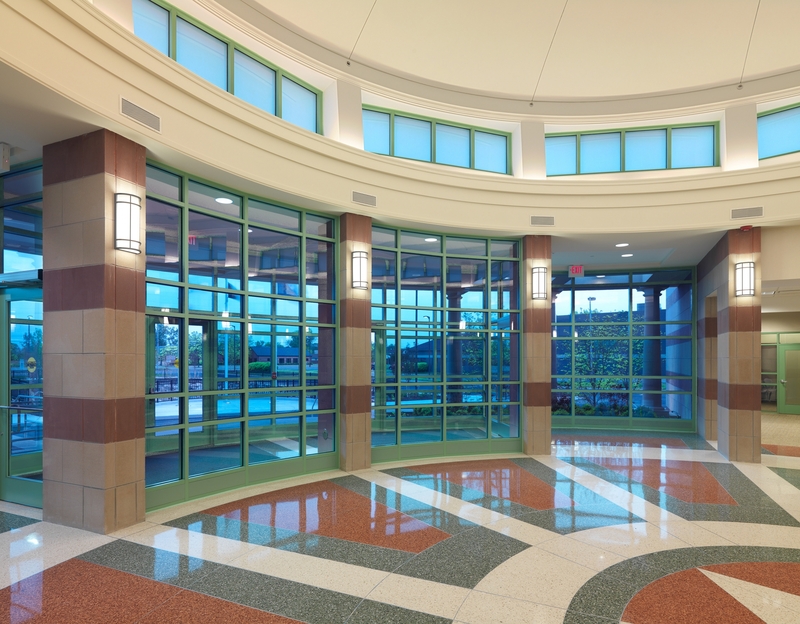 The design was undertaken with a commitment to green design principles. 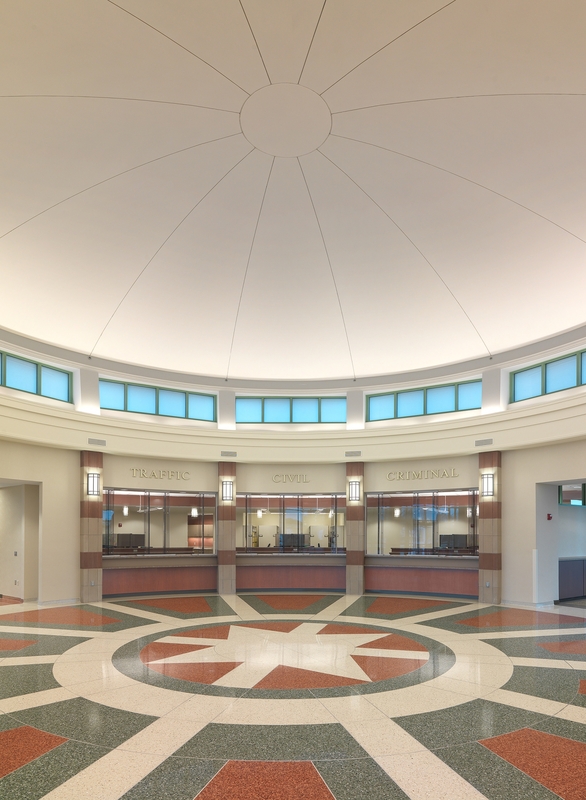 The design features a large open dome entrance lobby, highlighting a classical theme and gracious, naturally-lit public spaces. 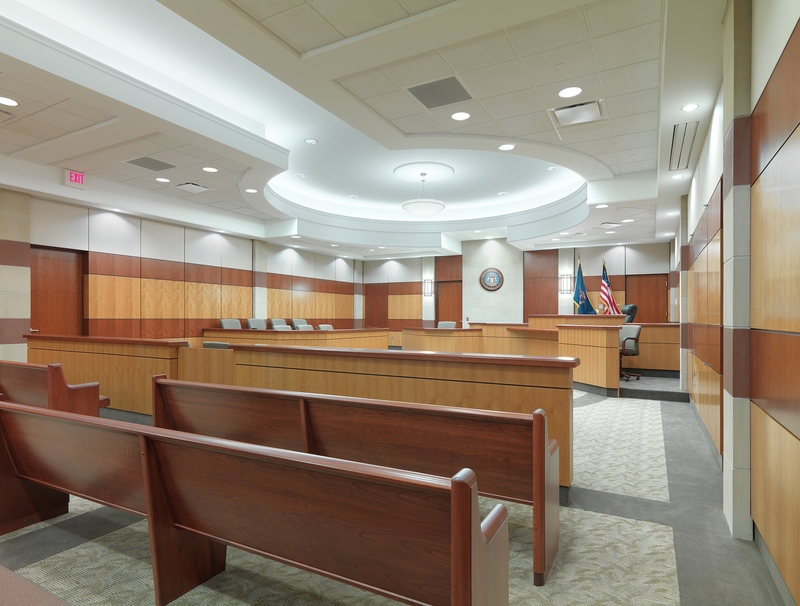 The building function is clear, apparent and anticipates the future growth of the area and caseload with the possibility of lower-level expansion for court use. 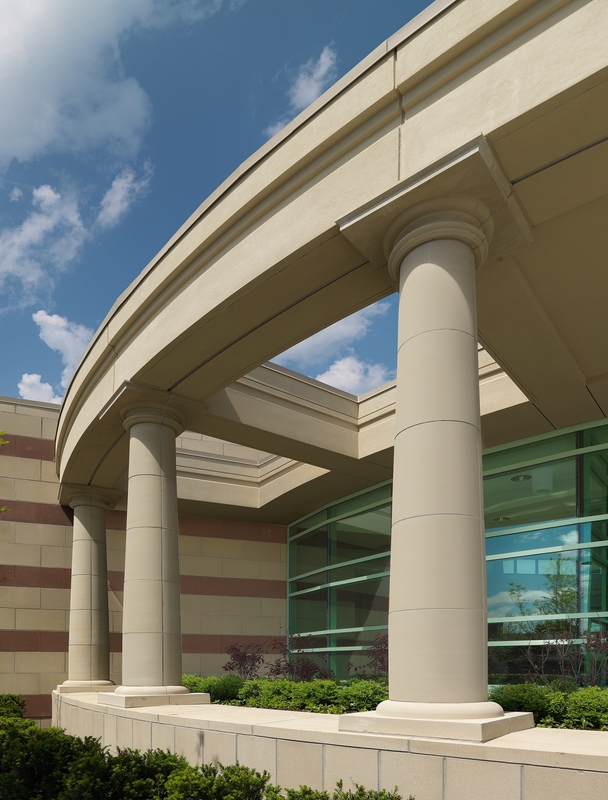 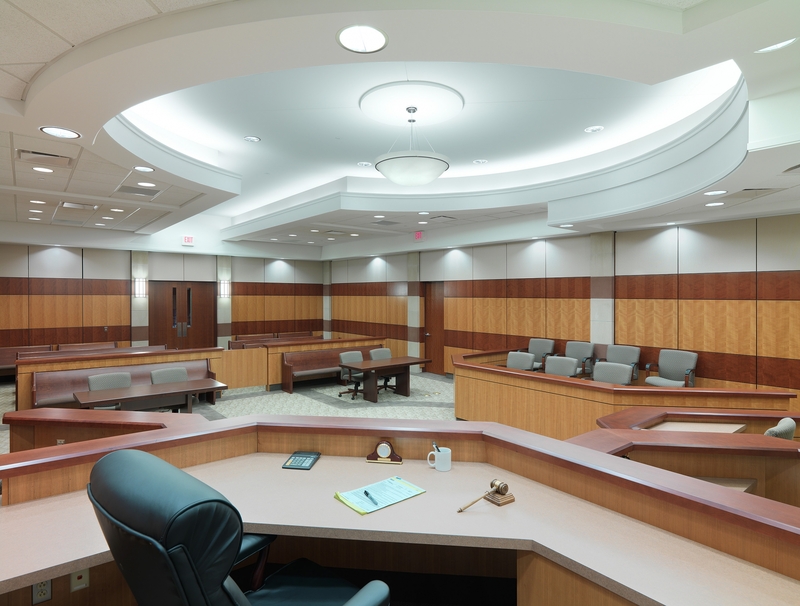 The design approach includes innovation in security zone separation, including public, semi-secure and secure with complete separation of defendant areas from arrival through courtroom appearance without physical or visual contact with employees or the public. 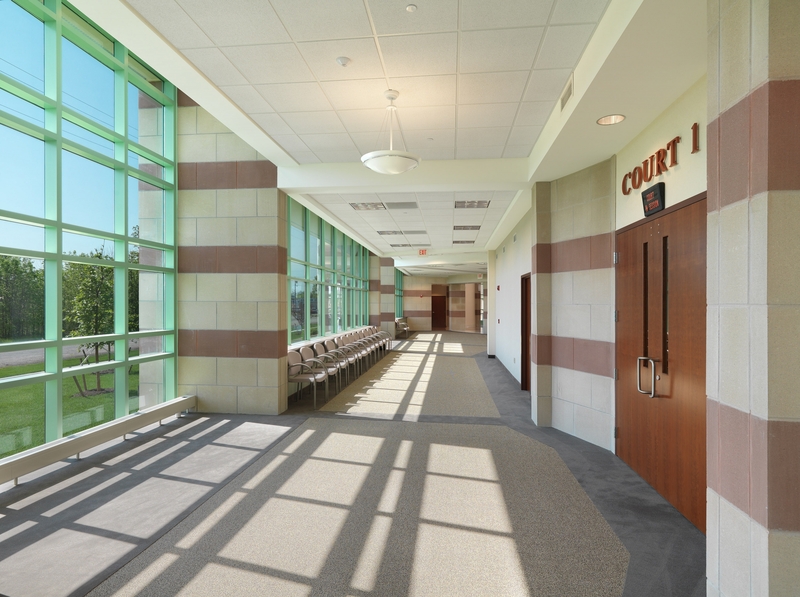 The design also included secure and supervised council and defendant visitation without breach of the secure zone approach stated above.